Back in October, newly-appointed Ford Motor Company CEO Jim Hackett issued his vision for the company’s future, insinuating the importance of what he termed as “operational fitness.” Today, company officials speaking at the Deutsche Bank Global Auto Industry Conference in Detroit spoke a bit more on just what that means. Farley broke down the idea of fitness into five categories: customer centricity, simplicity, speed and agility, efficiency, and accountability. Hitting on these points is the idea of reducing the number of orderable combinations for products like Escape and EcoSport from thousands to one or two dozen, which will achieve the aims of cutting manufacturing costs and upping the quality of each vehicle. It will also involve decreasing its passenger car lineup in North America and Europe—lining up with rumors that the Fusion may be on its way out of the lineup—and ramping up its utilities. Ford announced a revamped 2019 Edge this week—including an Edge ST performance variant that marks the company’s first foray into performance SUVs—as well as an all-electric performance SUV tentatively known as the Mach 1 that is slated to arrive sometime closer to 2020. Farley also revealed that Ford plans for 100% connectivity in its vehicles by 2019, and for 90% connectivity among all global products by 2020. 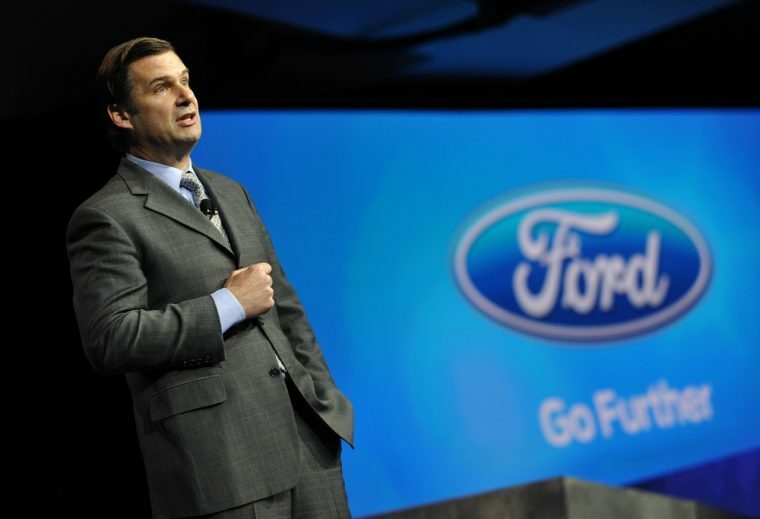 Building on Ford’s announcement that it will launch 16 new all-electric vehicles over the next five years, Farley confirmed that drivers in North America alone will see seven battery-electric vehicles by 2022. Europe will see three BEVs, and Asia Pacific will see a total of 13 BEVs by 2022—including vehicles launched as part of the new Zotye Ford Automobile joint venture. It was also revealed that Ford intends to offer hybrid versions of “all mainstream models” by 2022. Farley also revealed that part of Ford’s EV strategy—which includes the launch of the Mach 1 Performance BEV, the F-150 Hybrid, and the Mustang Hybrid—is the proliferation of Ionity Fast Charging Infrastructure. Ionity was announced in November as a joint-venture between Ford, BMW, Daimler, and Volkswagen; while it is currently a pan-European effort, the growth of PHEV and EV offerings in North America seems ripe for a trans-Atlantic expansion.